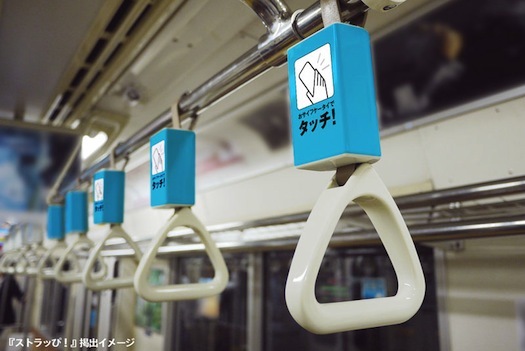 An advertising company have launched an innovative form of advertising on Japanese subway trains, which enables passengers to receive adverts direct to their smart phones through technology that connects with their mobile devices. Shunkosha's 'Strappy' system sends adverts to tube passengers in the form of a URL when they touch their phone on sensors, that are built into handles/straps aboard the train. The system is based on near field communication (nfc) and as 70 million smartphone users already have access to this technology it could be extremely successful. Marketing experts support this belief, indicating that advertisers can reach a "captive audience looking for a little distraction during a crowded commute".